Traditional agriculture in Northern Bangladesh is unsustainable and keeps farmers in a vicious circle of poverty. Agroforestry is a promising alternative, which is considered as one of the very few options to lift people out of the poverty trap and to protect the existing forest as well as improving environmental sustainability. Agroforestry may not only be good for (agro)biodiversity and sustainability, but also has a good economic rate of return. 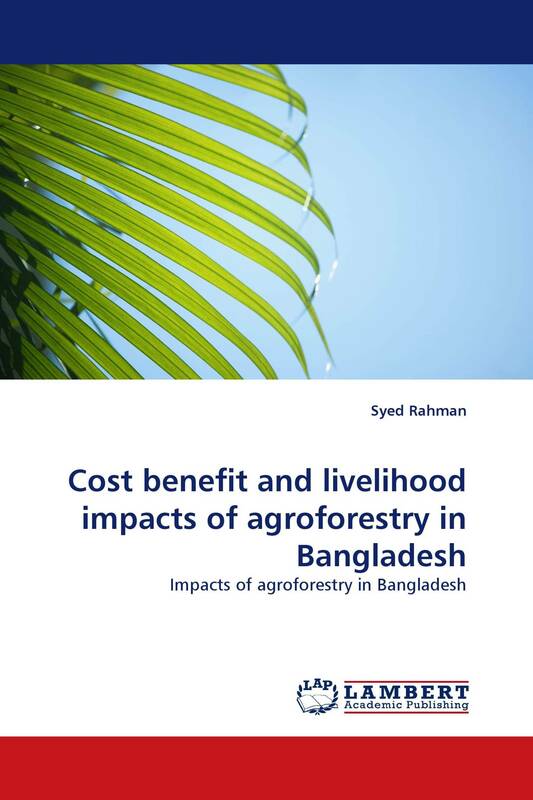 This research identifies the potential role of agroforestry on rural household development and assesses benefit-cost of agroforestry compared to traditional agriculture. Both quantitative, semi-quantitative and qualitative methods are used for analyzing data. The quantitative-economic parts of the study used descriptive statistics and econometric techniques combined with micro-economic models, especially cost-benefit analysis of agroforestry and traditional agriculture combinations at the household level.